The 223 Remington is a cartridge originally introduced as a military round, but one that has proven to be an outstanding recreational calibre. 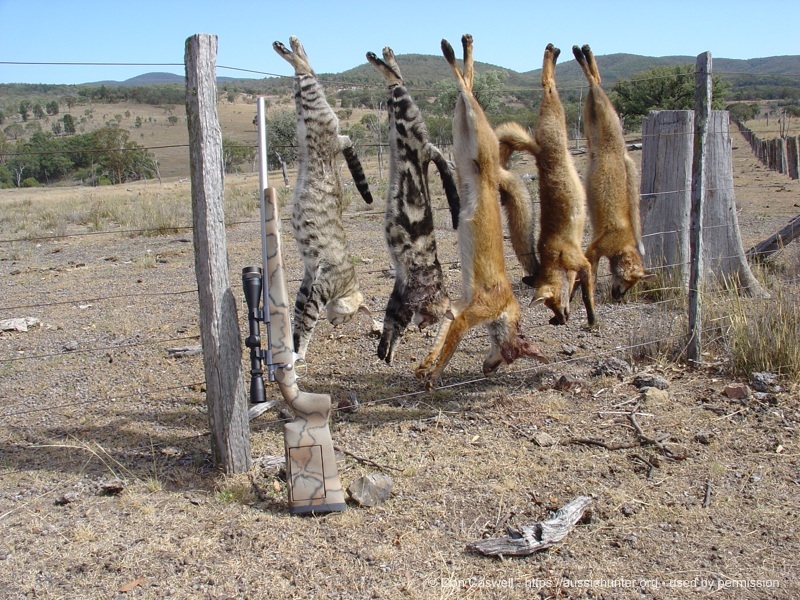 Don Caswell sings its praises for Australian hunting. Like many other Aussie hunters, my first centre fire rifle was a 223 Remington. That was back in the 70s. I’ve owned and disposed of a series of 223 Rems over the last thirty odd years. It is a calibre I keep coming back to, for good reason. Currently I have two 223 Remingtons in my gun safe. One is a medium varminter and the other a lightweight sporter. Over the years I have owned a number of 22/250s and a couple of 22 Hornets. I also had a 222 Remington Magnum, which is almost identical in every aspect to the 223 Remington. Supposedly, the 222 Remington Magnum was an experimental cartridge developed in response to the US military’s quest for such a round back in the 50s. The end result was that the 223 Remington was finally adopted for military use. Known as the 5.56mm NATO, it is still in use and is the round fired in our service’s Steyr rifles. 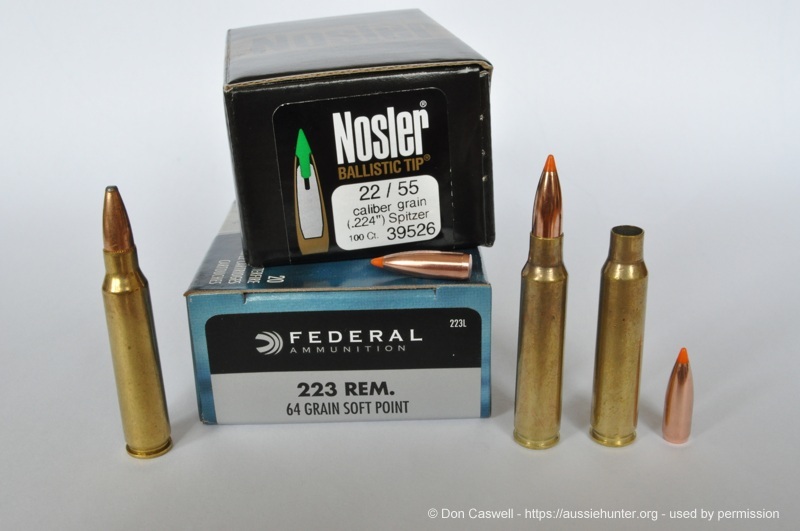 I view the 223 Remington as a great choice for dealing with pests and for meat hunters chasing small to medium sized game. I reckon the 223 has just about got the perfect combination of bullet weight and velocity, for its calibre, when shooting over a range from 50 to 200 metres. There are a wealth of projectiles, from a variety of manufacturers, available in the .224 inch diameter to suit the 223 Remington for those who wish to hand load. 223 Remington factory ammunition is available in an extensive choice of projectile types and weights. There would not be a gun shop anywhere that did not have a selection of 223 Remington ammo to choose from on its shelves. The price of 223 ammo is quite modest compared to bigger and more exotic calibres. Similarly, there are some good deals on offer and quality factory rifles with scopes can be had at quite reasonable prices. That makes the 223 Remington a great entry level rifle for new shooters, or for a landowner seeking a sensible choice for pest control on the land. 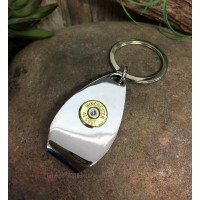 The 223 Remington is well suited to the hunting of our pest and game species. In the hey days of New Zealand deer culling, vast numbers of deer were shot with its slightly smaller brother, the 222 Remington. I know a few present day Aussie deer stalkers who have racked up impressive totals of one-shot kills on deer with their 223 Remingtons. However, in a number of states there are legal minimum calibres that exclude the 223 Remington and similar rounds for use on deer. Nevertheless, with the right choice of projectiles, the 223 Remington makes a fine medium game rifle. By choosing premium projectiles, such as the 60 grain Nosler Partition, or the Barnes SX 53 grain, to name but two, a hand-loaded 223 Remington is very capable on dogs, pigs, goats and small deer. Factory ammo such as Federal’s 64 grain soft points are a good choice too. The only caution here is to be aware of your rifle’s rate of twist before you commit to a heap of ammo. A good rule of thumb is that 55 grain projectiles are about the maximum weight that a 1 in 12 twist barrel will reliably stabilise. It seems to be a bit of a grey area because I had a 223 Remington sporter with a 1 in 12 inch twist barrel that would group the Federal 64 grainers nicely but would not stabilise another brand of 60 grain hollow points. I guess it depends on the specific combination of bullet geometry, weight, velocity and rifle characteristics. The 223 Remington is invariably a sweet rifle to use, being accurate with a mild report and negligible recoil. These characteristics make the 223 Remington a pleasure to shoot, particularly in the form of a stalking rifle. As part of a long held desire to own a battery of single-shot, centre-fire, stalking rifles, I recently acquired a Browning 1885 low-wall in 223 Remington and while I am still tuning it to my satisfaction, the early indications are that is destined to be a favourite. On the varminting side, there are a broad range of projectiles in the 40 to 50 grain range that are ideally suited to popping pests with your 223 Rem. Another caveat here is that some of these lighter varmint bullets are not suitable for use in rifles with high rates of barrel twist such as 1 in 9, or even 1 in 7 inches. So the message is; know your rifle’s rate of twist and take notice of ammunition manufacturer’s cautions on use of their product. Rate of twist is very easily determined with a cleaning rod. With a tight patch start the jag in the rifling, just ahead of the chamber. Make a mark, or better, attach a flap of duct tape on the rod near the handle. As you push the rod slowly down the barrel the tight jag will rotate with the rifling. The mark, or flap of tape, will rotate with the rod and eventually do a full 360 degree rotation. By laying a long ruler beside the cleaning rod, or by marking reference points on the cleaning rod, it is quite simple to determine the distance it takes for your first reference marker to rotate all the way around and back to its original position. Once you know the rate of twist you can chose projectile weights that are ideally suited to your rifle and which will stabilise and shoot accurately. Factory loads are fine for use in a lightweight sporter, shooting medium sized pests. For varminting you will most likely need to handload to get the most from your rig. The 223 Remington is a great choice for a walkabout varminting rifle. For calling up predators, to meet their maker, or just having an afternoon working over a couple of rabbit warrens, a varminting rig in 223 Remington is hard to beat. Fitted up with a bipod, and perched up on a convenient spot with a set of binoculars, you can certainly dominate the paddock. Since 1981 Don Caswell has been a freelance writer, photographer & illustrator. Don is the author of hunting stories and the provider of technical shooting information. 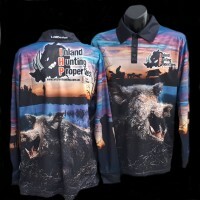 Don an independent reviewer of hunting, shooting & outdoors products, in addition to being a blogger & webmaster with Facebook & Instagram presence. Don is also a senior writer for the Sporting Shooters Association of Australia (SSAA) and his articles appear regularly in their publications. This article was originally published in the SSAA in June 2012.